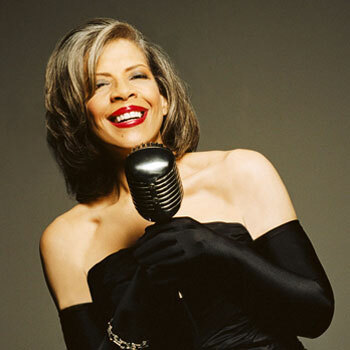 Patti Austin makes her triumphant return to our Nation’s Capital Friday, April 28th at Lisner Auditorium in concert with The Count Basie Orchestra! 7-Time GRAMMY award-winning artist Patti Austin makes her triumphant return to our Nation’s Capital on Friday, April 28th at Lisner Auditorium. Ms. Austin will be performing with the GREAT Count Basie Orchestra in concert and releasing her newest recording “For Ella 2” in honor of Ella Fitzgerald’s worldwide centennial celebration. The performance will include selections with her own quartet and the Count Basie Orchestra. The legendary Count Basie Orchestra will be under the musical direction of Mr. Scotty Barnhart and will be performing selections from the seminal 1963 recording “Ella and Basie”. Notable selections from both her recording and their careers will include Baby Come to Me, How Do You Keep the Music Playing, Satin Doll, Honeysuckle Rose and Ain’t Misbehavin”. Come join the fun, experience the pageantry and the spectacle that is Patti Austin in concert with the incomparable Count Basie Orchestra.